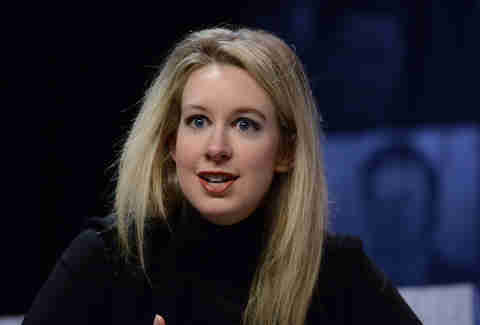 Elizabeth Holmes, the disgraced founder and CEO of Theranos, believed in the power of storytelling. 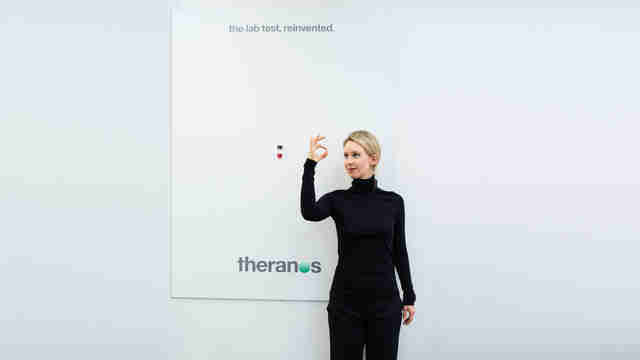 A large part of her pitch to investors, journalists, and her own employees was presenting a narrative of herself as the compassionate, visionary genius who was going to transform the world with her blood testing technology. Dressed in her signature black turtleneck, one of the many affectations she swiped from her hero Steve Jobs, she moved across TED Talk stages, manicured Silicon Valley lawns, and sleek corporate boardrooms with unwavering confidence. She wasn't just selling a piece of equipment. The entrepreneur, who dropped out of Stanford to found her company at 19, was selling a persona. It's not hard to see why Alex Gibney, the wildly prolific filmmaker behind Enron: The Smartest Guys in the Room and countless other ripped-from-the-headlines documentaries, would fall for her story. Gibney's new film about Holmes and her company, The Inventor: Out for Blood in Silicon Valley, premiered at Sundance and airs tonight on HBO, where it will lure countless more curious viewers into Holmes's web of lies. Though the filmmaker -- and, presumably, the audience -- knows that Holmes's story ends in financial ruin and public embarrassment, the movie still attempts to sell you on the promise of Holmes, who is often shown in interview footage staring without blinking into the camera. She's the star. More than the Fyre Festival meltdown of biotech, the Theranos scandal had deep connections to the major social and economic currents of American life: Elite government figures like Joe Biden and Henry Kissinger praised her, powerful billionaires like Larry Ellison invested in her, publicly traded companies like Walgreens partnered with her, and high-end journalists like the New Yorker's Ken Auletta, who is interviewed in the film, pursued her for interviews. Sure, Holmes shares more than a few qualities with a fraudster like Fyre's Billy McFarland, but her scam was perpetrated on a massive scale. She wasn't trying to throw a party with Ja Rule (though the movie does contains some very awkward footage of her dancing at a company party to M.C. Hammer's "Can't Touch This"); she was trying to "disrupt" the entire health care system. The scope of the story works against Gibney at times. Even at nearly two hours, the movie manages to feel a bit long in some sections, particularly as it tries to psychoanalyze Holmes's motivations, and too brisk in others, like the final moments when the facade begins to crack. Still, like the best episodes of the Gibney-produced Netflix series Dirty Money, The Inventor finds the horror and humor in capitalism run amok. Neither a conniving mastermind or a total fool, Holmes is presented as a product of the "fake it till you make it" ethos of Silicon Valley and American business writ large. It's a familiar -- and already quite well known -- story. Before seeing The Inventor, I inhaled Bad Blood, the recent best seller about Theranos by Wall Street Journal writer John Carreyrou, who is featured in the film and was in attendance for the premiere at Sundance. For anyone looking for an authoritative deep-dive into the absurdity and injustice of the Theranos scandal, that's the place to start, as Carreyrou was the first journalist to begin asking tough questions about Holmes's company and eventually won a Polk Award for his reporting on the subject. Gibney's documentary is more of a big-picture gloss on a complicated story, like a streamable New Yorker feature. In one of the less cinematic moments, a paragraph of the New Yorker article about Holmes is even highlighted on the screen, and the recordings of her being interviewed for that story, lying and making grand pronouncements, are featured prominently in the documentary. Is Gibney making the CliffNotes versions of longform articles people can't be bothered to read all the way through on their phones? It's possible to view The Inventor or 2015's Going Clear, his documentary about Scientology, through that lens, but I'd argue these movies have their own visceral and comedic pleasures as movies. For example, as much as I enjoyed reading Bad Blood, some of the sections describing the inner-workings of the Edison, the highly protected machine the company was working on, are hard to picture in your head if you don't have an engineering background or an understanding of robotics. Gibney's film uses slick animation to dramatize the malfunctioning system of tubes, vials, and splattering blood. It's simple but effective. 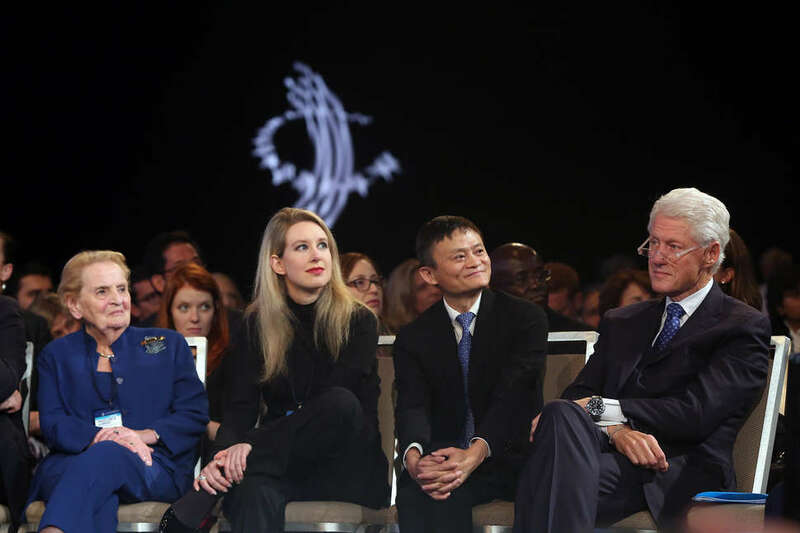 Similarly, it's powerful to hear and see the testimonials of whistleblowers like Erika Cheung and Tyler Shultz, who speak eloquently of their experiences at the company and their decisions to take on Theranos. Now that Holmes is facing fraud and conspiracy charges, her story no longer belongs to her. In fact, it doesn't belong to Gibney either: ABC News' Nightline has released The Dropout, a documentary and accompanying podcast about her; Vice director Adam McKay is working on a Bad Blood adaptation with Jennifer Lawrence set to star. Holmes may not have transformed medicine like she promised she would, but she's certainly left her mark on the movie industry.